The Ibrahim Scholarships are a range of award programmes to support aspiring leaders for the African continent. The scholarships reflect a range of priorities for African development. From a focus on the education of women in Sudan to support for historically marginalised Nubian people in Egypt, the Foundation is committed to showcasing the best talent from the African continent, particularly amongst those groups who are often denied the opportunity to contribute to their society’s development. Investing in the future of young people in Africa is key to improving the continent’s governance. The Foundation highlights areas in which dramatic impact can be demonstrated when young Africans are given the opportunities they deserve to build their own and their countries’ futures. The Foundation will provide two graduate fellowships and two full undergraduate scholarships to students of Nubian origin, with a working knowledge of the Nubian language, who are keen to support the enrichment and preservation of Nubian culture and heritage. The Mo Ibrahim Foundation scholarship for sub-Saharan Africa will support outstanding students on the full-time MBA programme at London Business School. Each year two scholarships, providing full payment of fees, will be awarded to an exceptional MBA candidate from sub-Saharan Africa with financial need...read more. The Governance for Development in Africa Initiative aims to build the skills of bright young Africans with a number of strands: leadership development fellowships, residential schools on governance in Africa, a lecture series, and PhD scholarships. The Foundation is providing support for Together for Sudan to sponsor female students in all faculties in Sudanese universities, with a particular emphasis on business studies. The Foundation provides a scholarship for an MSc in Governance and State-Building at the University of Birmingham. The two-year programme includes a six month internship at the Foundation Secretariat. An exceptional African national receives full tuition fees, a living allowance and airfare to the UK. The scholarships develop the talent of outstanding young Africans in selected disciplines. Together for Sudan - Any field (especially Business studies). Each year an additional forty women will be supported to attend Ahfad University in Northern Sudan. University of Birmingham - MSc in Governance and State-Building (Successful applicant receives full tuition fees, a living allowance and airfare to the UK). Candidates from sub-Saharan Africa who meet the different criteria for each programme should apply by contacting the addresses listed below. Application deadlines will vary depending on the school of interest. 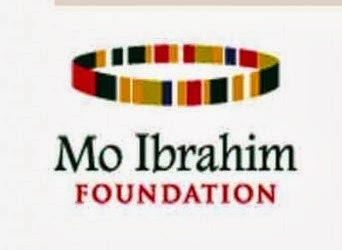 Please contact the schools directly or Mo Ibrahim foundation. Established in 2007, and evolving to accommodate shifting African dynamics, the Ibrahim Scholarships support aspiring African leaders at a number of distinguished academic institutions.